We offer a large selection of power plant with the device for obtaining, FREE hot process water, with no apparent odor and smoke along with the rest of eulata (ash) 2-3%. Incineration of slaughterhouse waste, animal carcasses and other non-hazardous waste takes place, according to the EU Regulation 1774/2002. A large variety of different types of incinerators 200-500 kg with its system to generate hot water, determines an individual approach to each customer. The unique technology of getting free hot water with thermo insulation of the tank (according to the customer’s needs from 10m3 to 50m3, a big advantage energy plant. Incineration of waste thermal energy that we get used to getting hot water. The capacity of the system is, of 3000l to 8000L of water per hour, heated to a temperature of up to 85/90°C. Sanitary ways of waste disposal. Fast and effective contaminating prevention. Ash residue in accordance with all legislations for disposal. Easy waste loading. Full automatic control of waste incineration with temperature listing. Built in alarms for work control, with SMS texting. Fuel: gas, Lpg and fuel oil. 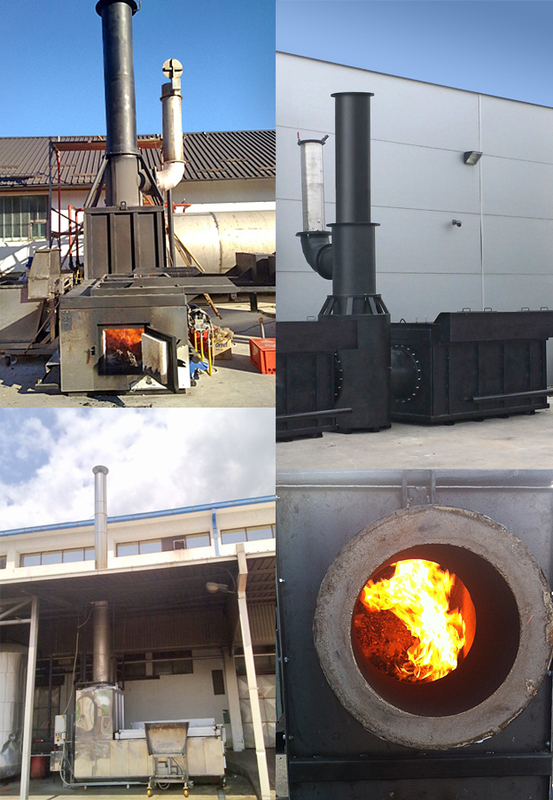 Incineration control process and high quality fireproofed materials that insure minimum fuel consumption. Fireproofed materials (1750ºC) and full construction insure durability and robust. Incineration of nonhazardous waste with easy temperature regulation.